Following the end of WW2 and the ejection of German occupying forces, Belgium, which had been occupied since 1940, started to recover economically very robustly. There were lingering issues over the monarchy which were not resolved until 1951 when Prince Baudouin became King and there was the vexed issue of decolonising Belgium’s overseas possessions to resolve. As part of the creation of a more powerful economic block, Belgium along with the Netherlands and Luxembourg created the Benelux Economic Union in 1948. Also in 1948, Belgium joined with the Netherlands, Luxembourg, France, and the United Kingdom in the Treaty of Brussels mutual defence pact concerned over the growing power of the Soviet bloc in Europe. Concerned that even together they would be unable to resist a Soviet attack they entered negotiating with the United States. In July 1949, the North Atlantic Treaty Organization (NATO) was formed from those discussions with 12 founding members: Belgium, Canada, Denmark, France, Iceland, Italy, Luxembourg, the Netherlands, Norway, Portugal, the United Kingdom, and the United States. The joining of a military alliance marked a shift for historical neutral (since 1839 when she was created) Belgium who had already suffered twice the misfortune (in 1914 and 1940 respectively) of being on the way for Germany attacking France and was clearly in no mood for a third occupation. NATO is still to this day headquartered in the Belgian capital city, Brussels. In 1950, Belgium, still rebuilding after World War II, responded to the UN call for troops to be sent to Korea and, along with the Government of Luxembourg, sent troops to the Korean peninsula. This force was known as the Belgian United Nations Command (BUNC) and sent over 3000 Belgians and nearly 100 Luxembourgish troops to Korea during its existence, the first arriving at the end of January 1951. BUNC was part of the British 29th Brigade and was nicknamed the Brown Berets. 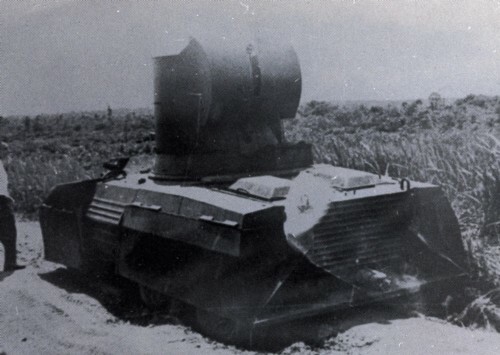 BUNC was involved in several combat actions against North Korean and Chinese forces including the Battle of Imjin River, Haktang-Ni, and Chatkol and was finally disbanded in 1955. The issue of decolonisation of the Belgian Congo (modern day Zaire) continued into the late 1950’s with demonstrations in Leopoldville which was not solved until independence was granted in June 1960. The remaining central African colonies of Ruanda-Urundi (modern day Rwanda and Burundi) were granted independence in July 1962. Mid 1960 saw a post colonial war in the former Belgian Congo which started almost within days of independence dashing hopes of a pro-western central African nation. The indigenous army became the Congolese National Army. Belgium sent in troops to restore order without having sought permission from the new government of the Congo under President Joseph Kasuvubu and Prime Minister Patrice Lumumba. President Kasuvubu, therefore, appealed to the United Nations for help and the removal of Belgian troops. The result was the creation on the 13th of July of the Organisations des Nations Unies au Congo (ONUC) peacekeeping force. The country had already descended into chaos however with the southern province of Katanga (with Belgian support) declaring independence in July and the province of South Kasai in August. The USA, concerned about a communist takeover, sought to unseat Prime Minister Lumumba and convinced President Kasuvubu to fire him. Ignoring this though Lumumba dismissed Kasuvubu and the scene was set for a brutal civil war with Kasuvubu supported by the west and Lumumba supported by the Soviets. Colonel Joseph Mobutu orchestrated a coup instead though with the CNA under his command in September almost certainly with CIA assistance promising to eject Soviet advisors out of the country. The problems with the Katangese rebellion persisted despite support from the USA over the next few years. 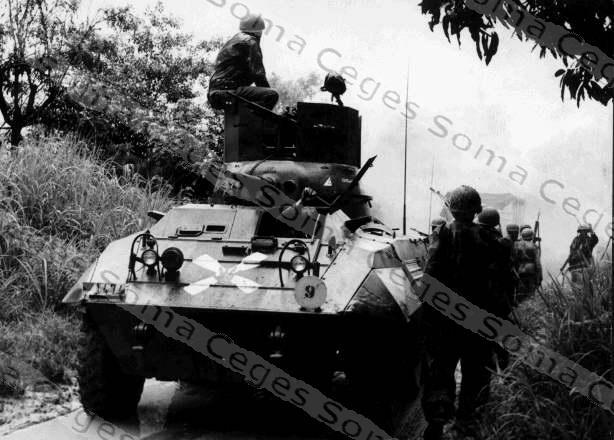 A large number of hostages were seized in Katanga province in late 1964 and a joint Belgian-US effort known as Operation Dragon Rouge was created that November to go and rescue them. The operation was successful but destroyed the credibility of the government of the Congo. In November 1965 Colonel Mobutu removed the President and Prime Minister and took over the whole government instead ruling until 1997 remaining staunchly anti-communist. 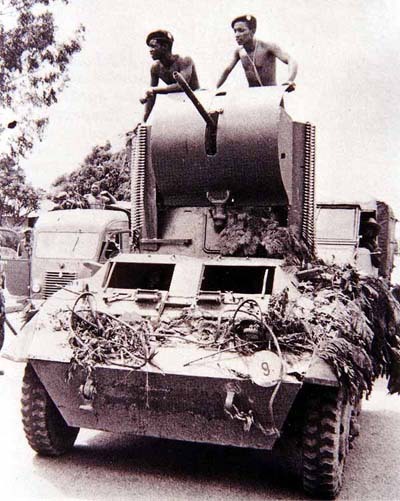 Belgian forces fought on and off in their former colony of the Congo (renamed Zaire in 1971 and now back to Congo) until 1978. 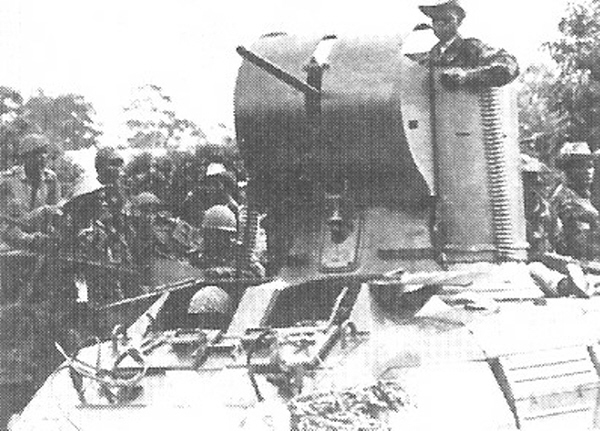 Some of the military vehicles left by the Belgians in the Congo included M8 armoured cars, some of which received extended height modifications to the turrets, M3A1 armoured scout cars, multiple improvised armoured trucks, Minerva Landrovers (Belgian built Landrovers) fitted with armour plating and machine guns and anti tank rocket launchers, CJ-3B jeeps with the armoured machine gun mounts from the Minerva’s and even an improvised tank based on a Caterpillar bulldozer. 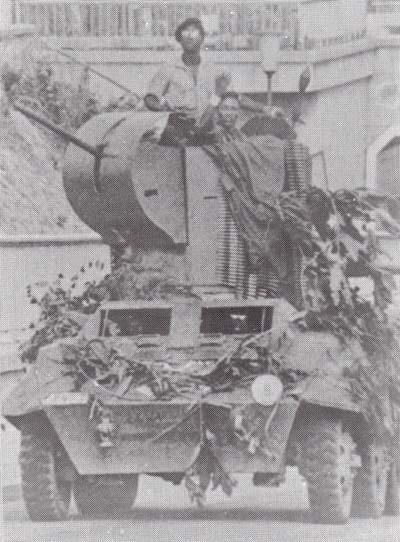 The Belgians had three infantry brigades in Germany under British control on the 1st of April 1946 as part of the British Army of the Rhine (BAOR) designated ‘Belgian Forces in Germany’ (BFIG). The Belgian area of responsibility in West Germany, as it had become, included Aachen, Köln, Söst, Siegen, and Kassel and a small force in Bonn (until 1949) and their army numbered some 75,000 or so strong by 1948. By 1952 the army had grown to 150,000 but national service was reduced from 21 months to just 18 months and the numbers went down. 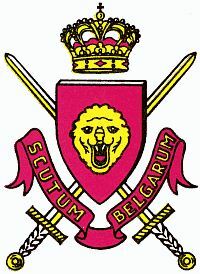 Insignia for Belgian Forces in Germany. The shield and lion’s head in the centre is the badge of 1 Corps. These forces were redesignated as a protection force in 1955 when West Germany was admitted to NATO and like many European nations post World War II was a major recipient of US arms. By the 1960s, Belgium was supposed to be providing two corps of troops, each consisting of three divisions (in total 9 brigades) in West Germany as part of the NATO alliance against the Warsaw Pact. 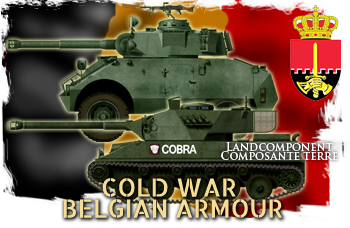 By 1970, however, Belgium only fielded a single corps (1 Belgian Corps – part of the NATO North Army Group known as NORTHAG) of just two divisions (the 1st Infantry and 16th Armoured Divisions), each of two brigades. In 1977 one of those brigades from each division were returned to Belgium. 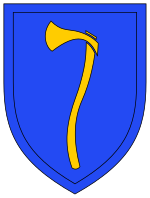 In the 1980’s Belgian forces in West Germany were reduced to a corps headquarters and a single division of two brigades with one independent reconnaissance brigade. The Belgian second division completely relocated within Belgium and by 1990 and the end of the Cold War Belgian forces in Germany numbered just under 25,000 from a previous high of about 40,000. Oddly for such a small nation, Belgium was actually a nuclear capable power as early as the 1950’s when, as part of US aid, they received the MGR-1 Honest John surface to surface missile and later nuclear capable artillery pieces although they never possessed the nuclear warheads themselves. 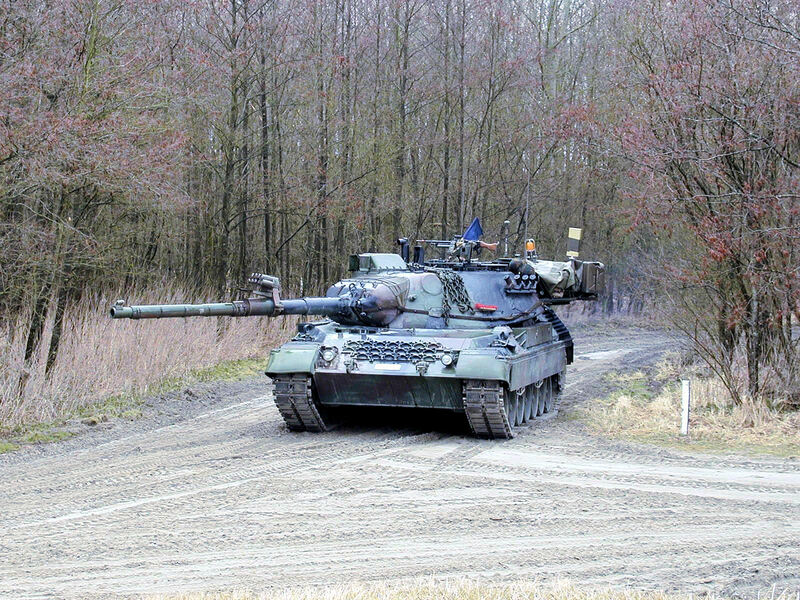 Other equipment for the Belgian land forces included the West German Leopard 1A1(BE) MBT’s and upgraded Jagdpanzer Kanones, American M113 and M75 APC’s, French AMX-13 Mod.56 VTT APC’s, British Scorpion and Scimitar CVRT’s, and even the venerable old Carden-Loyd carrier lived on until the early 1960’s with Belgian forces mounting a 90mm MECAR gun and known as the CATI-90. 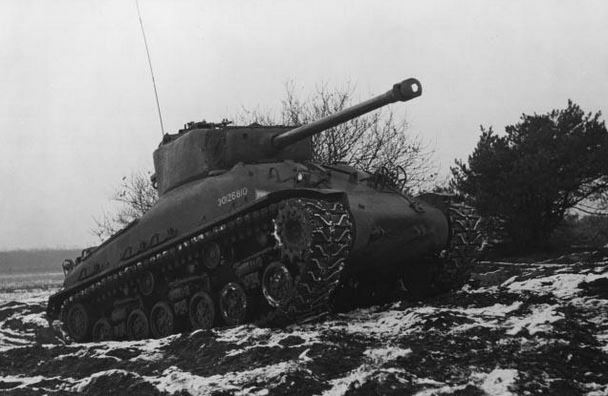 Older US tanks including American M41 and M47 tanks were semi-mothballed held in a reserve status but sufficient to create 4 M47 tank companies and 2 M41 tank companies in the event of war. 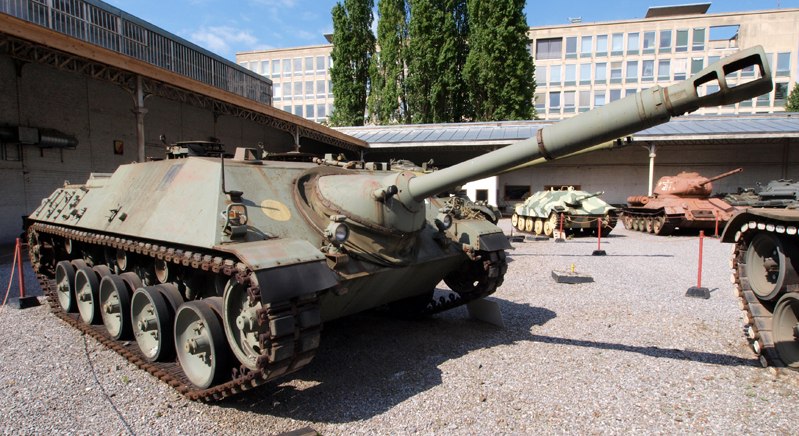 Artillery pieces included the American supplied M108, M109 and M110. 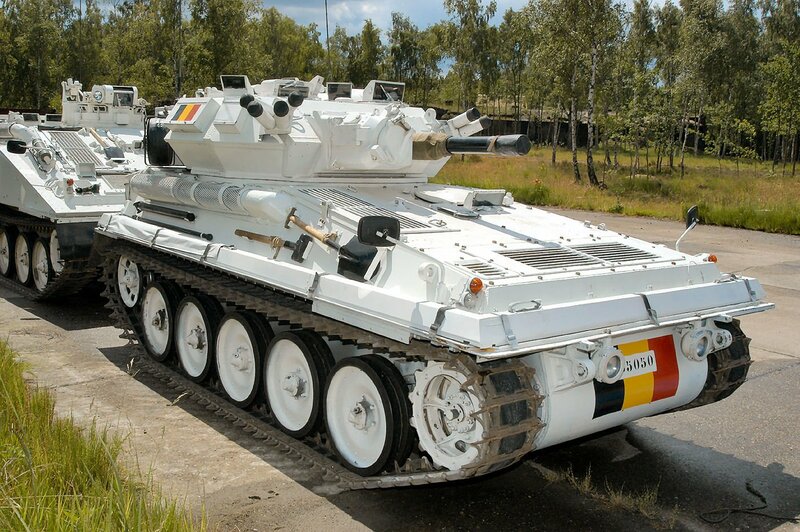 The Belgian Army underwent a modernisation program in the 1980’s upgrading their APC, tank, and artillery forces although the Leopard 1A5(BE)’s agreed in 1985 did not enter service until 1993. 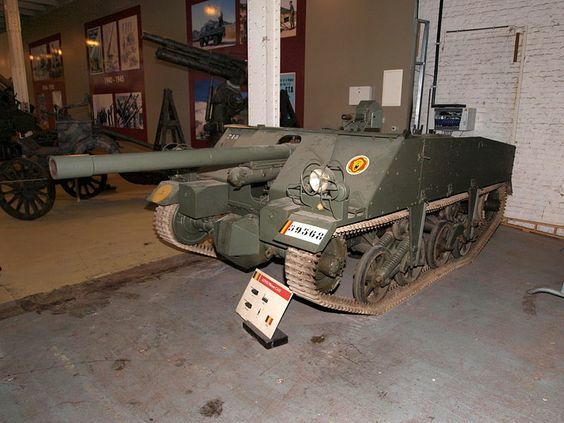 There was consideration of the British Centurion tank for Belgium in 1953 but the export seems to have been cancelled in favour of the German Leopard 1. For a relatively small country, Belgium punches well above its weight in international armament production, development, and supply. 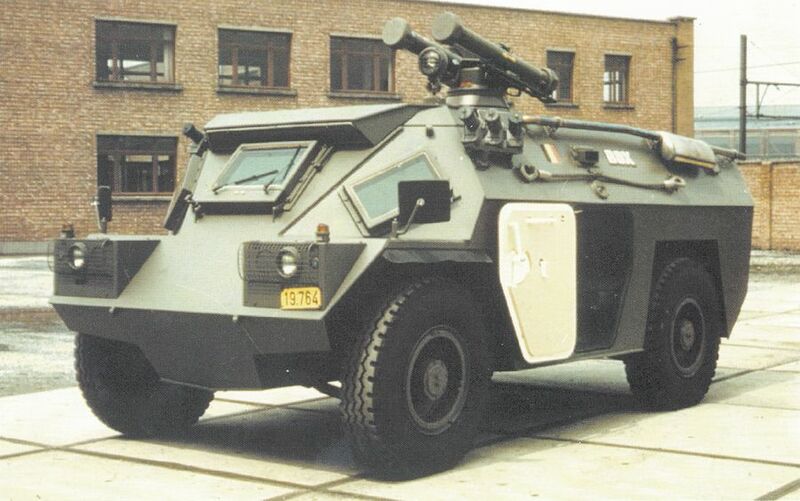 The famous firm of Fabrique Nationale Herstal is a particularly well known Belgian manufacturer and also produced some armoured vehicles including the FN4RM/62F AB. 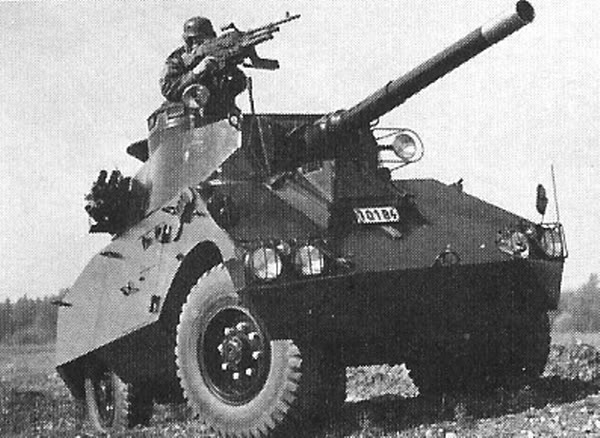 Designed mainly for internal security or low intensity conflict zones the FN4RM could carry the 90mm MECAR, a 60mm mortar (AB.MI.MO variant) and variety of machine guns. 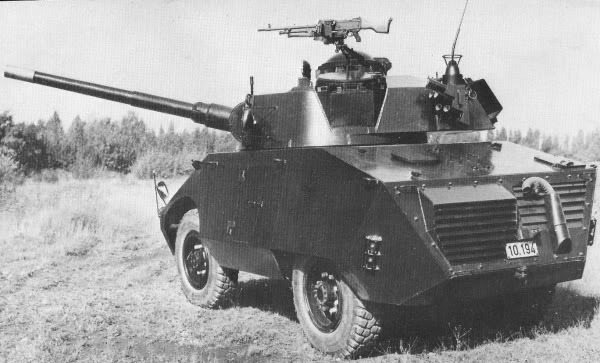 Twenty or so these, once retired from Belgian service, were sold off to Uruguay along with a stock of 22 modernized M.41 tanks in 1981. 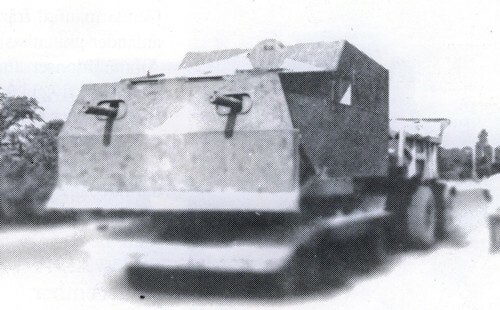 The no less famous Belgian firm of Cockerill Defence and the firm of Ateliers de Constructions Electriques de Charleroi (ACEC) also tried to get into the armoured vehicle market towards the end of the Cold War with the Cobra APC and Tank designs although they received no orders. 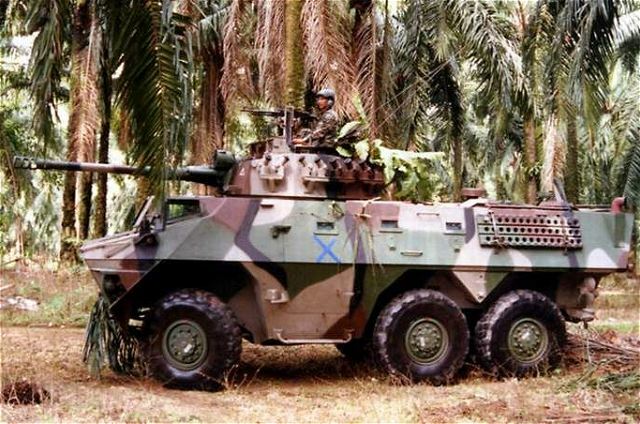 The firm of BN Constructions Ferroviaries et Metalliques (BNFCM) did find some limited success though with their SIBMAS 6×6 vehicle in the 1980’s selling 186 vehicles (mostly the 90mm gun AFSV-90 version) to Malaysia. 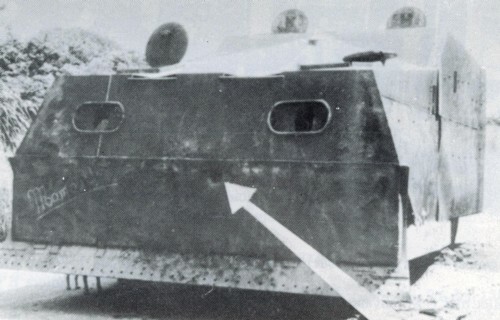 The firm of Beherman Demoen Engineering (BDX) also found some limited success with wheeled APC’s producing an improved version of the Irish Timoney 4×4 vehicle under licence. They entered service with Mexico, Belgium, Argentina, Indonesia, and Malaysia with production for Belgium complete by 1981. 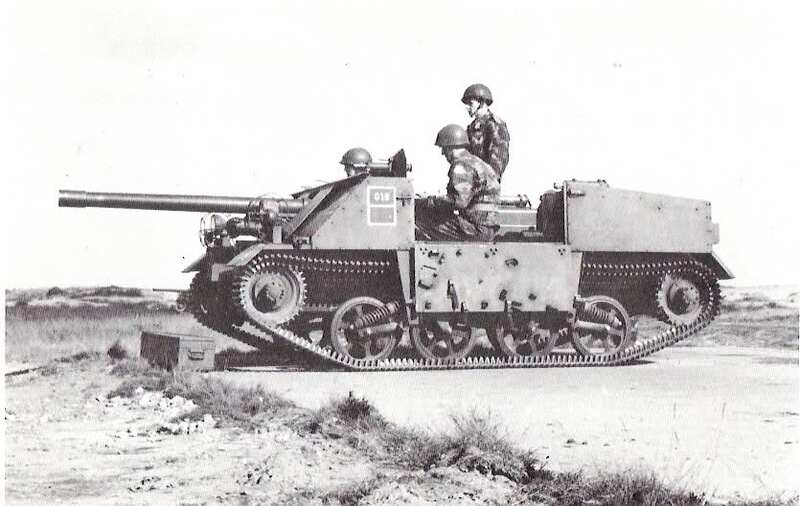 The firm of Cockerill was involved in some controversy in 1955 buying a quantity of ‘scrap’ (the breeches of the guns having been cut or removed) Valentine Archer self-propelled mounting (some without engines) from the UK. Egypt had tried to purchase 100 of these vehicle direct from the UK a year before for use an armoured personnel carriers but had been turned down. 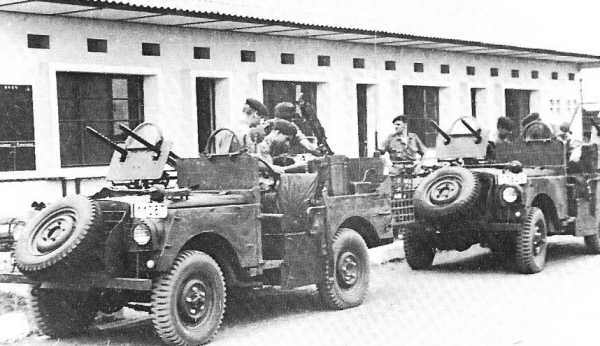 Cockerill instead refurbished these vehicles and FN Herstal had assisted them in rearming them either by means of new breeches or with ‘scrap’ ones which were repurposed. They then simply re-exported 151 of these vehicles to Egypt circumventing the export controls. These shenanigans led to the cancellation of contracts to sell Bren carrier, and spares to Belgium shortly afterwards. by coincedence I came across your site. Started exploring and must congratulate you for bringing such an well-informed and very educational website on tanks! The additional history and background info is a treat for inquisitive people! weapon factory in HERSTAL (not hershal). Just trying to help, greetings from a belgian tankenthousiast. Hi found this web site very good and I plan on telling my students to use this website for there a work.